Cryogenic equipment produces or is used in the production of very low temperature materials or processes. Cryogenics, the study of very low temperatures, involves temperatures that are colder than those that can be attained with conventional refrigeration equipment. Cryogenic equipment is designed to reach ultra-low temperatures at a slow rate in order to prevent thermal shock to the components being treated. Cryogenic temperatures range from -238 °F (-150° C, 123.2 K°) to absolute zero. At these low temperatures, substances that are naturally gases can be liquefied and some metals lose electrical resistance, as they get colder. 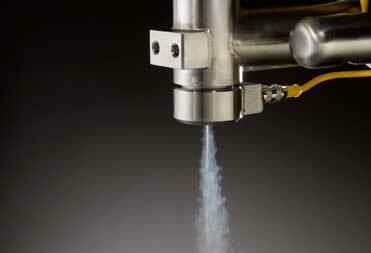 The ADF105 system uses cryogenic sensors to detect a "full" condition. Once full, dual cryogenic valves shut off the fill cycle maintaining the fill pressure inside the liquid cylinder. The ADF105 system is suitable for indoor and outdoor installations. It is designed to fill portable low pressure (max 25 psi) liquid nitrogen cylinders from a piping system or bulk tank. Trust the experts for unsurpassed value, quality and service – worldwide. Our extensive product line offers everything you need to transport, store and dispense liquefied gases. Portable and vacuum-insulated, our vast array of models will fit your needs and store your contents safely and securely every time. Best of all, these products come from Taylor-Wharton, the leader in quality cryogenic liquid cylinders.